Provide comfort for the family of Jeanette Galvin with a meaningful gesture of sympathy. 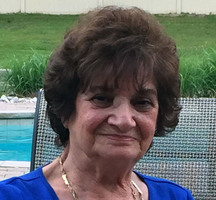 JEANETTE J., (nee Santelli) age 81, January 15, 2019. Beloved wife of Roderick "Bob" F. Galvin. Devoted mother of Donna Giosa (Jack Cordoves), Robert Galvin and Maria (Louis) DeSimone. Loving grandmother of Lauren (David), Eddie, Tiffani, Joseph, Adrienne, Eric, Alexandra, Louis, Robert and Michael. Great grandmother of Brynli and Braelyn. Dear sister of Salvatore (Carol) Santelli. Family and friends are invited to her Viewing Friday eve 7 to 9 P.M.and Saturday morning 8:30 to 9:30 A.M. at Vincent Gangemi Funeral Home, Inc, 2232-40 S. Broad Street (at Wolf St.) Funeral Mass 10:00 A.M. at Epiphany of Our Lord Church, 11th and Jackson Sts. Entombment New St. Mary's Cemetery. 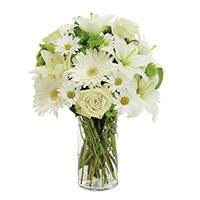 To send flowers in memory of Jeanette Galvin, please visit our Heartfelt Sympathies Store. Sandy/Art Collins, Roseann, Steve, Bianca & Brielle Gatto, and others have sent flowers to the family of Jeanette Galvin. Sandy/Art Collins purchased the PEACEFUL WISHES for the family of Jeanette Galvin. Bob, your heartfelt and touching tribute to Jeanette was beautiful, and is a testament to the love you two shared for one another and your family. We will deeply miss her smiling, cheerful greetings always.